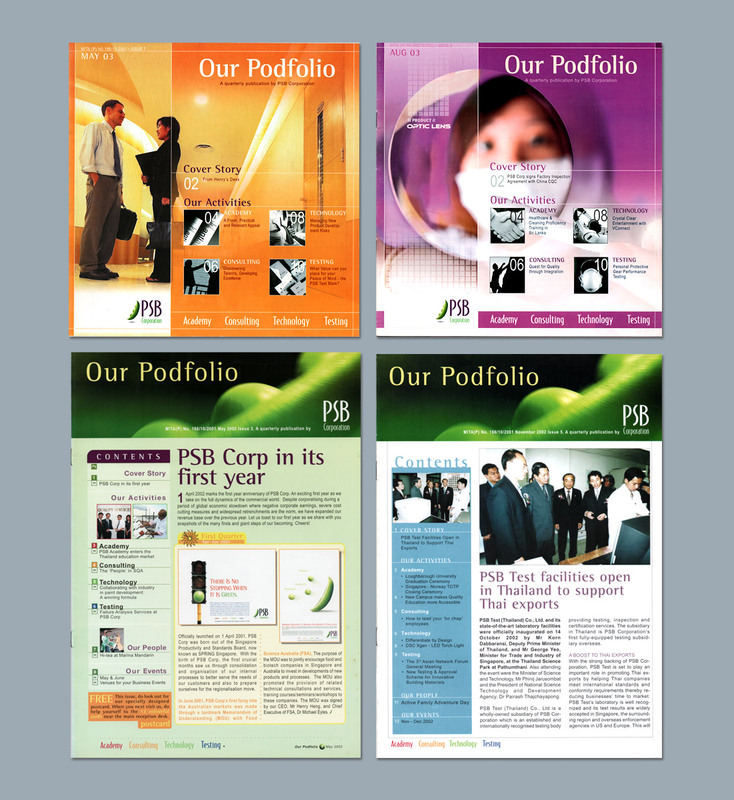 PSB Corporation is one of the corporatised subsidiaries of the Singapore Productivity and Standards Board in 2001. We were appointed to produce the "Podfolio" – PSB Corp's monthly newsletter to give the new identity a leverage in its marketing and corporate communications effort. We oversaw the launch of its newsletter to its eventual presentation in the magazinelike square-format for a more trendy appeal.